Semi-Final day one saw Portugal vs Chile, both looking to make their first Confederations Cup final in their first appearance in the tournament. The highlight was also seeing two of World football’s greatest players clash, will it be Ronaldo’s Portugal or Sanchez Chile to advance to the Final? BUT…..it all comes down to that one performance of the night and a gamechanging player this time it was not an outfield player but the Chilean Goalkeeper Claudio Bravo, saving 3 penalties after the match went into extra-time goaless. All I can say is BRAVO Chile for making it to the Final. To be honest I was looking forward to the next Semi-Final…World Cup Champion Germany vs Mexico. I was rooting for a Mexico win just because I look like the goalkeeper hmmm think I have some Mexican heritage. Football is a beautiful game but also cruel especially if you are up against The German Machine, even without their star-studded regulars it took just 6 minutes for them to find the back of the net……two minutes later it was 2-0 Leon Goretzka scoring both but it was really a team effort. 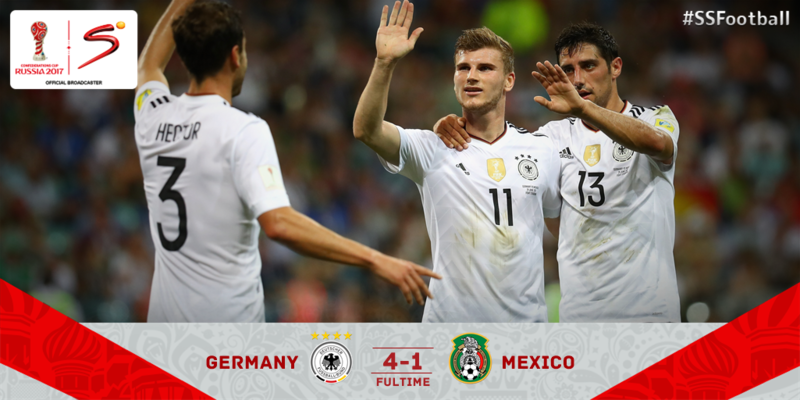 It was all downhill for Mexico as Germany slotted another 2 goals to seal their place comfortably into the final in St Petersburg, this was really a brilliant game though and I commend Mexico on thier fighting spirit never giving up…. A well deserved Mexican Wave….Goodbye. This entry was posted in Uncategorized on June 29, 2017 by shaunjengel. 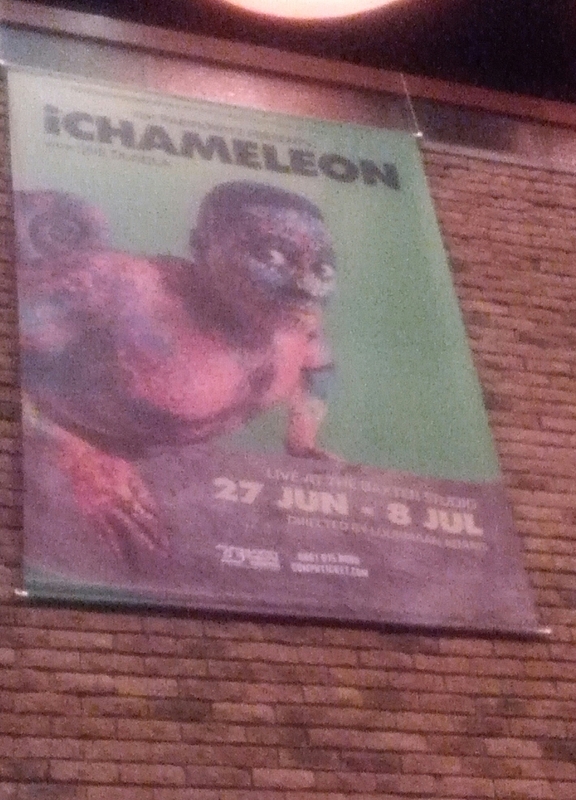 Winter is here, it is cold we need ways to keep warm….well why not go to the Baxter Theatre and watch IChameleon. I had no idea what I was about to watch, the poster grabbed my attention especially since it is a Nik Rabinowitz production directed by Loukmaan Adams but after watching the show…..this is all Sne Dladla. An intimate setting – 170 seats, if I’m not mistaken – so like they say in the taxi’s ‘n bietjie leifde Ma, is koud ons wil almal warm kry….once those bright lights come one it is show time and you’ll laugh away those winter blues. The show has character, it has depth and is relevant…don’t get me started on the music and sounds, I’ll leave that for you to go see and hear, all I’ll say is it is all SNE DLADLA. I can definitely see why he is an award winning actor-comedian-musician damn what a mouthful, just like a chameleon he can adapt to all situations. The show runs until the 8th July so don’t delay, tickets can be bought at Computicket or at the Baxter Theatre. This entry was posted in Uncategorized on June 28, 2017 by shaunjengel. The last round of matches before we reach the Semi-Finals in the 2017 Confederations Cup, all matches are played at the same time….in Group A it was the underdogs New Zealand vs Ronaldo’s Portugal and Mexico taking on the hosts Russia. Portugal only needed a draw against a side that has never won a game at the Confederations Cup to earn a spot in the last four, they were surely the favourites to advance to the next round. In the 33rd minute who else but Ronaldo opened up the scoring with a penalty and from then on it was all downhill for the White Caps from New Zealand, a domintating performance from the 2016 Euro Champions. Portugal beat New Zealand 4-0 (Cristiano Ronaldo, Nani, Bernardo & Andre Silva) to top Group A and booked their place in the semi-finals….I am glad both former Manchester United stars got on the scoresheet. In the other match of the night it was hosts Russia up against comeback kings Mexico. 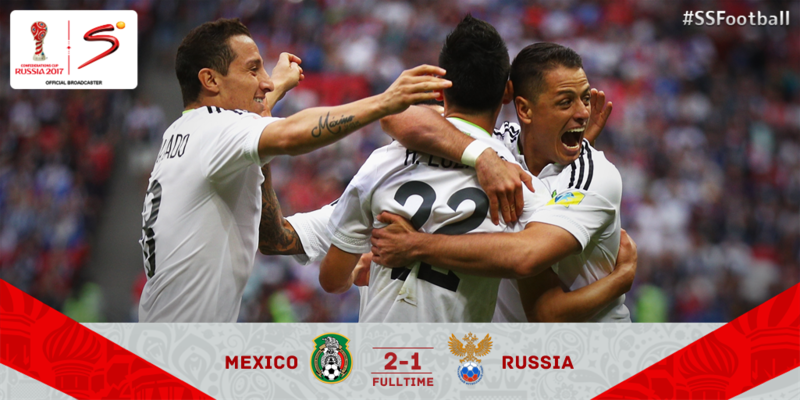 Russia who were on 3 points knew that only a win would see them through to the next round and in the 25th minute Samedov put them in the lead but it typical Mexican fashion they spoilt the party by equalizing 5 minutes later, 1-1 at Half-Time. A defensive error from Russia was pounced upon by the Mexicans and Lozano put the ball in the back of the net 2-1 and I’m sure a massive Mexican Wave hit the Russians as they were knocked out of the tournament. Portugal and Mexico advance to the Semi-Finals…both were my picks from this Group. The questions is, which of these two teams will advance to the Final? This entry was posted in Uncategorized on June 27, 2017 by shaunjengel. Group B looked set for some upsets even though favourites Germany and Chile were front runners….there was still a mathematical chance for Cameroon and Australia to sneak through if they both won by two goals. I was totally rooting for the Indomitable Lions to cause the upset but it was the VAR system that became the talk of the match when Siani was incorrectly red carded…. 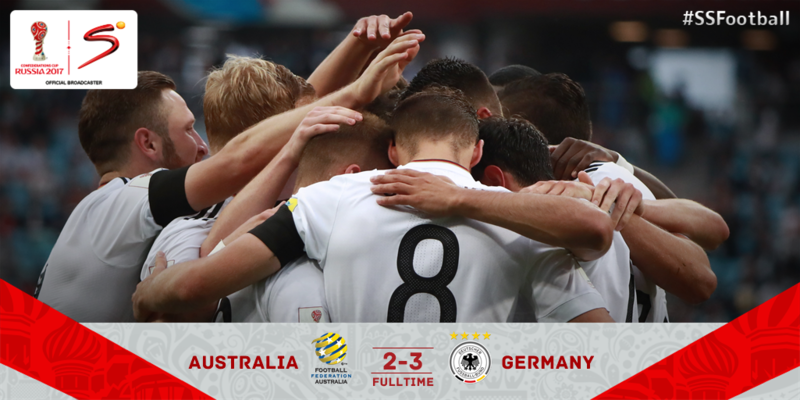 Besides this the game was filled with goals as Germany showed their class and that they are a force to be reckoned with even with a relatively young sqaud. 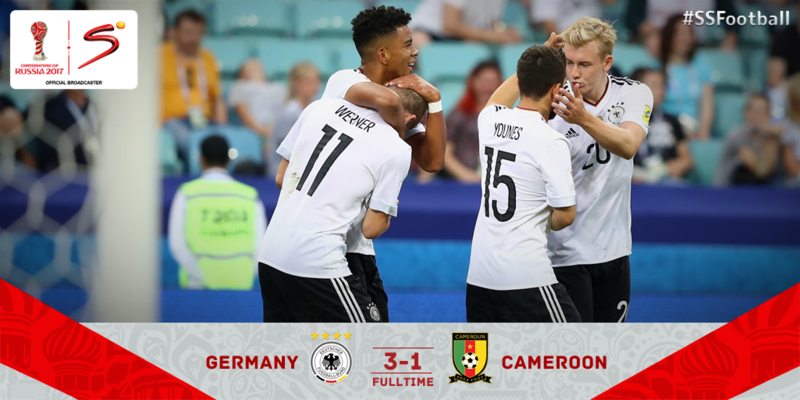 Timo Werner’s brace gave Germany the advantage over Cameroon, which all but ended the AFCON champions chances of reaching the semi-finals. The Indomitable Lions did however manage to pull a goal back but this was not enough to see them Roar with victory, it was the German Machine who oiled their way into a semi-final spot. In the other game it looked to be a Chile night for Australia in Moscow, the South Americans only needing a draw to advance. Just before half-time a delicate chip by James Troisi gave Australia the lead over Chile this would’ve been a major upset by the Socceroos. 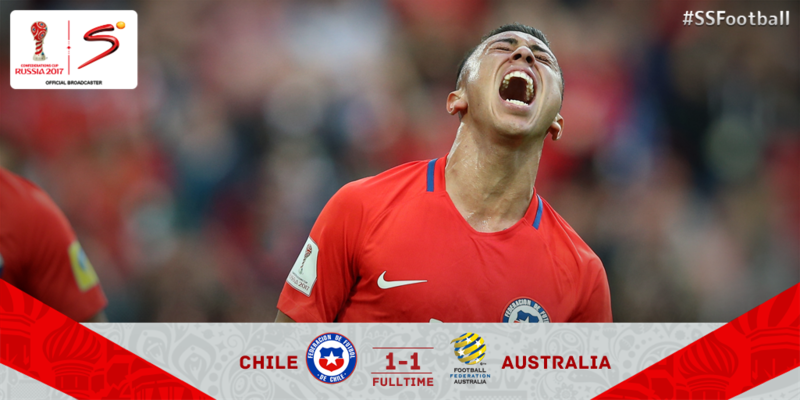 Australia could not hold onto the lead when Chile took back the drivers seat through a Martin Rodriguez equaliser, even though things did not go according to plan for the South Americans a draw was enough to see them through to the semi-finals. Both games are going to be exciting….if I were to put my money where my mouth is I’ll go with an underdog final but hey this is the beautiful game after all….anything can happen. This entry was posted in Uncategorized on June 25, 2017 by shaunjengel. The second round of matches at the 2017 Confederations Cup saw Portugal take on hosts Russia, after a draw in the opening game against Mexico a win for Portugal would bring them one step closer to a semi-final spot. The stats against Russia seemed like it was a mere formality for Ronaldo’s Portugal side came into this game on a 6 game unbeaten run. It took just 8 minutes for Ronaldo to break the deadlock with a signiture header, with this goal he has now scored in all six major tournaments his played in the last 12 months….the history books surely love the name Ronaldo. 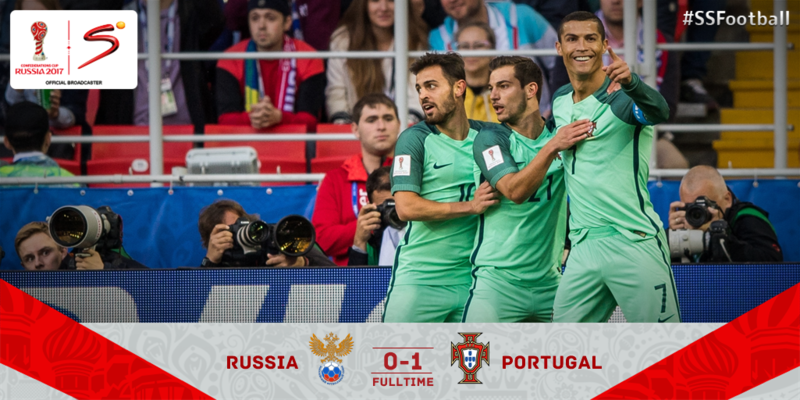 Even though the Hosts Russia piled on the pressure in the second half, the one goal was enough for Portugal to take all 3 points. 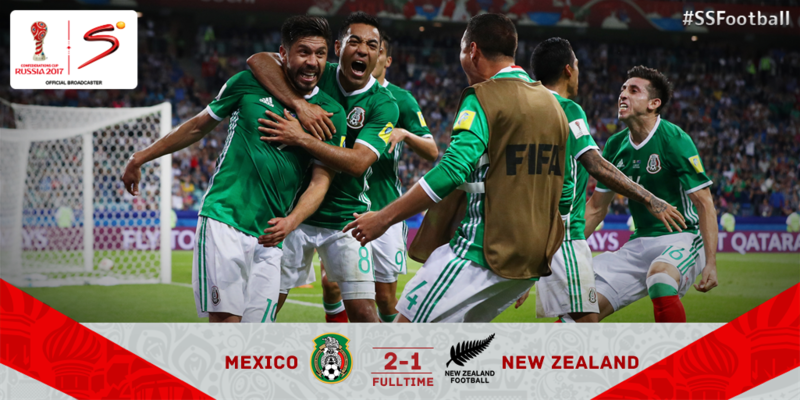 In the second match of the 21st June it was The Mexicans who took a gamble against New Zealand by starting the match without striker Hernandez…. New Zealand have also never won a game at the Confederation Cup though, but to stand a chance of making it to the semi-finals they would need to beat Mexico. In the 42nd minute New Zealand’s Captain, Wood opened the scoring. I was supporting New Zealand not only because they were the underdogs but they also have a player who plays in South Africa, Michael Boxall plays for Supersport United. …Mexico, however are not a team who faults under pressure. In the 54th minute Raul Jimenez turned and shot spectacularly to bring Mexico level against New Zealand. The goals did not stop there and in the 72nd minute Mexico lit up the nightsky of Sochi Stadium when Oribe Peralta at age 33 finished beautifully to give Mexico the lead for the first time in the clash. The win for both Portugal and Mexico put them both on 4 points in the group and left them as firm favourites to go through to the semi-finals of this years Confederations Cup. This entry was posted in Uncategorized on June 24, 2017 by shaunjengel. 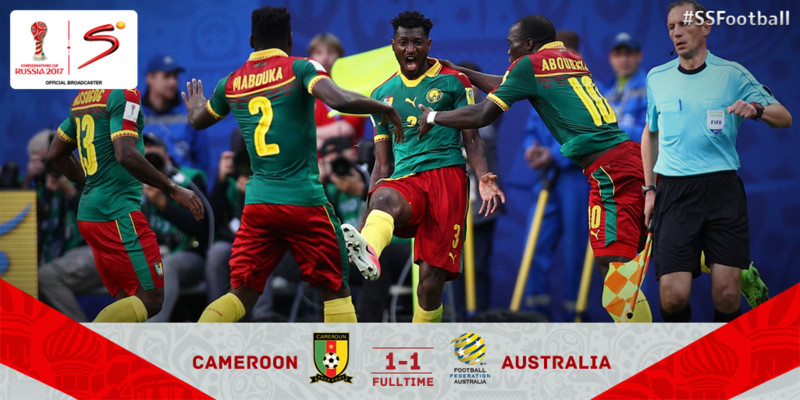 The Indomitable Lions from Cameroon could however could not overcome the Socceroos who are supposedly the weakest side at the Tournament, this is the Confederations Cup…..everyone of these teams are Champions in their own right so there are no weak teams in my eyes. Just before half-time The Indomitable Lions broke the deadlock 1-0 but on the hour mark (60th minute) Milligan scored the equaliser for the Austalians, 1-1…this was the final score as they both shared the spoils. A game I was looking forward to was the 3rd and 4th placed sides according to the Fifa rankings, Germany vs Chile both teams looking to make it 2 wins out of 2 at this years tournament. 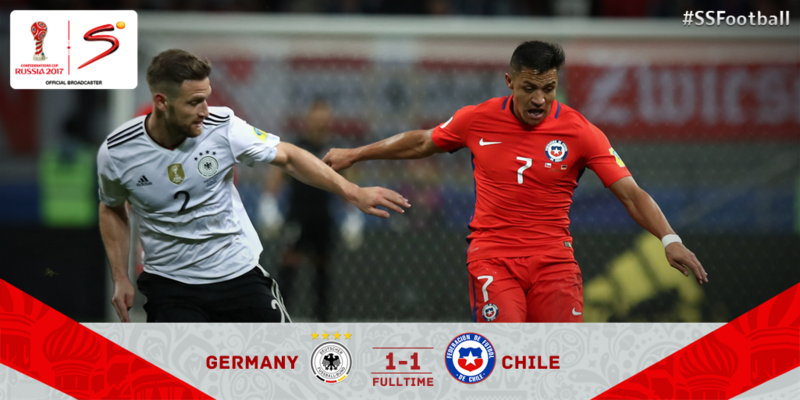 The last time these two sides met, Germany beat Chile by a single goal……however with Arsenals Talisman in the Chile sqaud and a young German side this stat might just change. It was Sanchez who opened the scoring but Germany found the equaliser just before the break…..to be honest I really expected mor out of this game there were a few intense moments at the end which got me off my feet but other than that a rather dull affair. The interesting thing about Thursdays results though is that all 4 teams still have a chance of advancing to the semi-finals going into the last games of the group stages. All games are to be played at the same time so come Sunday afternoon we are hopefully going to be in for an exciting day in Russia. …it took just 5 minutes for Lars Stindl to open the scoring for The German Machine. While Germany domintated the first half Australia managed to eqaulise in the 41st minute, this was short lived however as Julian Draxler converted from the spot to help Germany regain the lead in Sochi before half-time. The second half began with a bang even without any of the big names in Russia, The Germans showed why they should still be feared as World Cup winners by extending their lead in the 48th minute…the score now 3-1 but hey I was still rooting for the underdogs in this game. 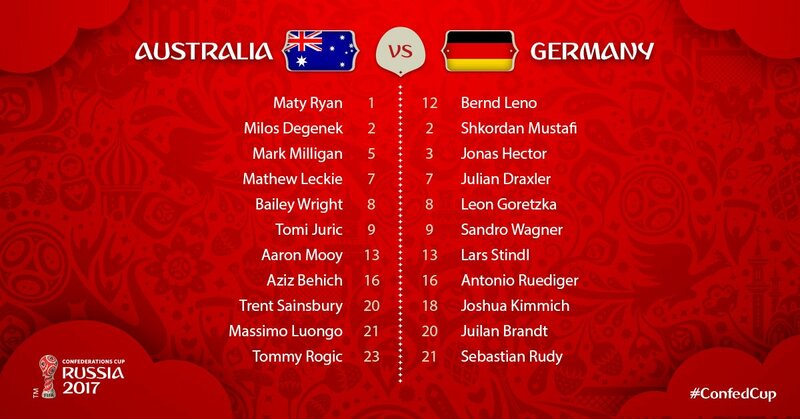 The Socceroos gave me something to scream about when they scored in the 56th minute after a check by the video assistant referee, Australia got their goal through Tomi Juric….the score 3-2 to Germany. Unfortunately for me and Australia this was the final score as Germany took the 3 points and made it 4 wins out of 4 against the Soccerooooooos. A game filled with goals and with plenty of matches to come I think this was just the start of something great in Russia….all teams have now opened their account at the 2017 Confederations Cup. Have you chosen you Champion yet??? This entry was posted in Uncategorized on June 20, 2017 by shaunjengel.